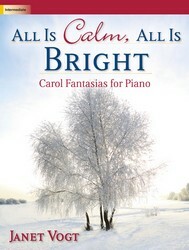 The Christmas season opens a portal in time through which words and melodies from many centuries flow into our busy modern lives. 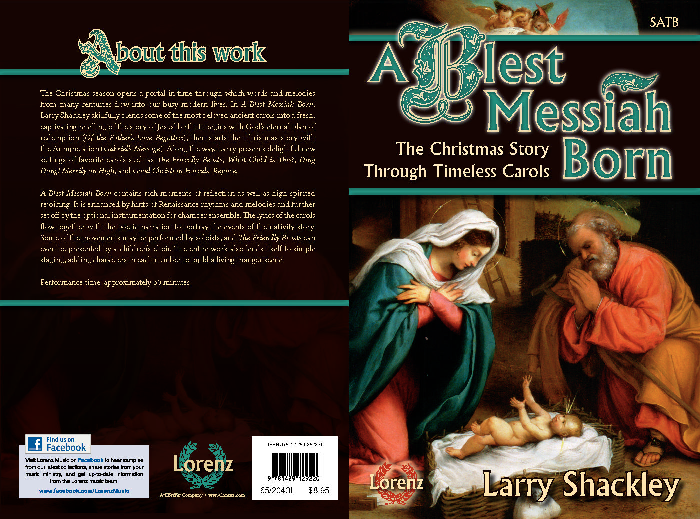 In "A Blest Messiah Born," Larry Shackley skillfully blends some of the most beloved ancient carols into a fresh, captivating retelling of the story of Jesus' birth. It begins with God's eternal plan of redemption, then starts the Christmas story with the Annunciation. 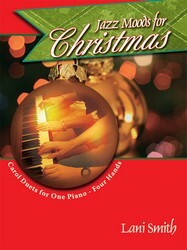 Along the way, Larry presents delightful new settings of favorite carols such as "The Friendly Beasts;" "What Child is This? ;" "Ding Dong! 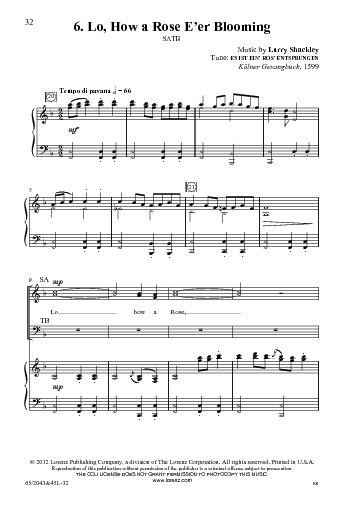 Merrily on High;" and "Good Christian Friends, Rejoice." 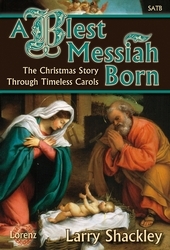 "A Blest Messiah Born" contains rich moments of reflection as well as high-spirited rejoicing. 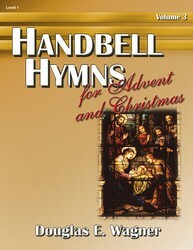 It is enhanced by hints of Renaissance rhythms and melodies, and the lyrics of the carols flow together with the poetic narration to portray the events of the nativity story. 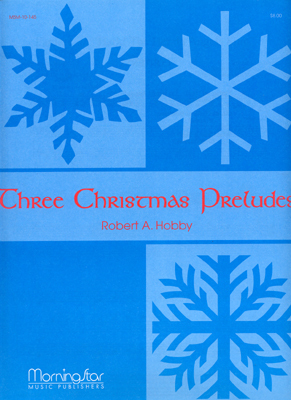 The entire work lends itself to simple staging, adding characters in each number to build a living manger scene. Text What star is this, with beams so bright, More lovely than the noon-day light?